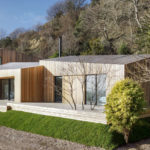 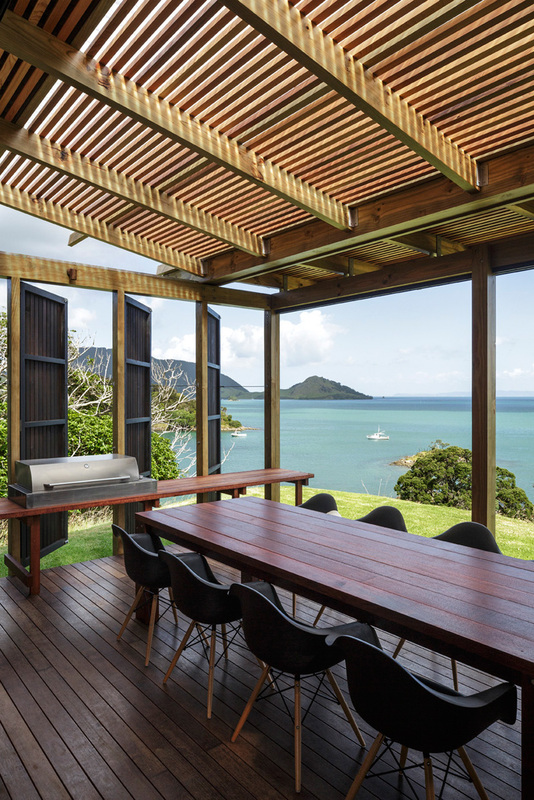 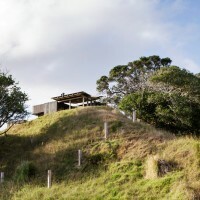 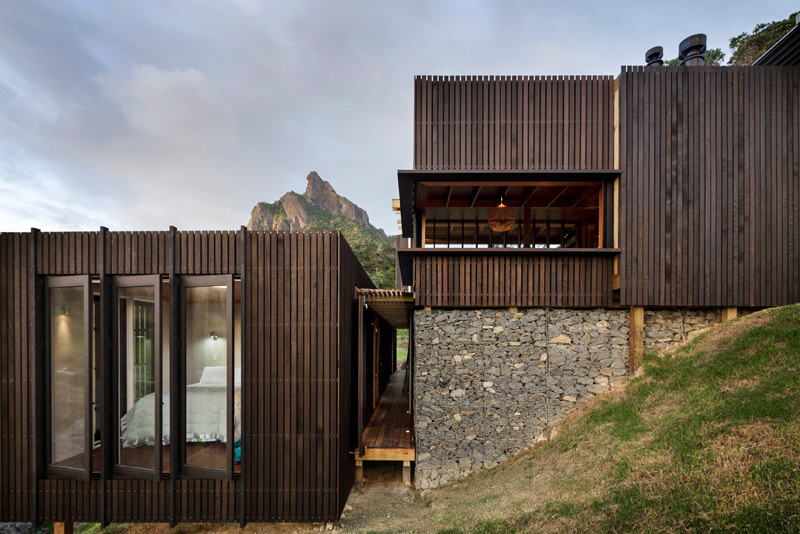 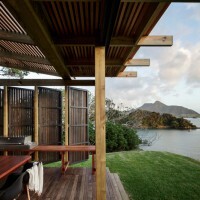 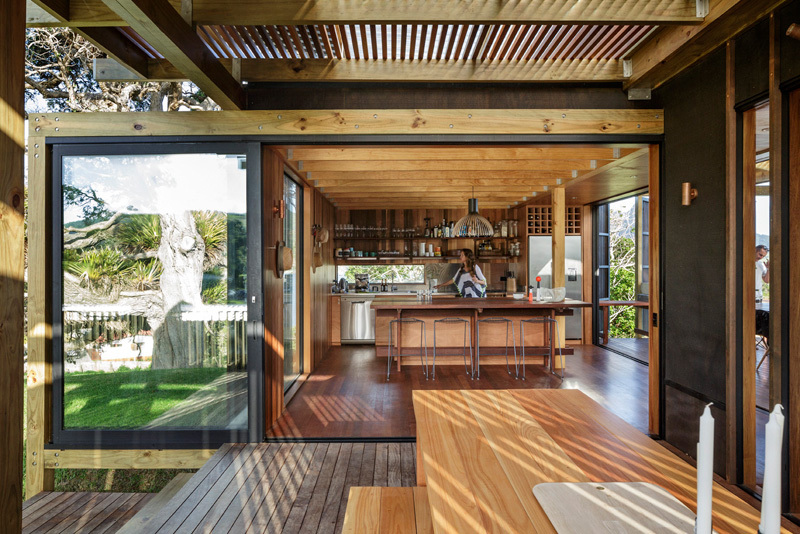 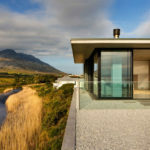 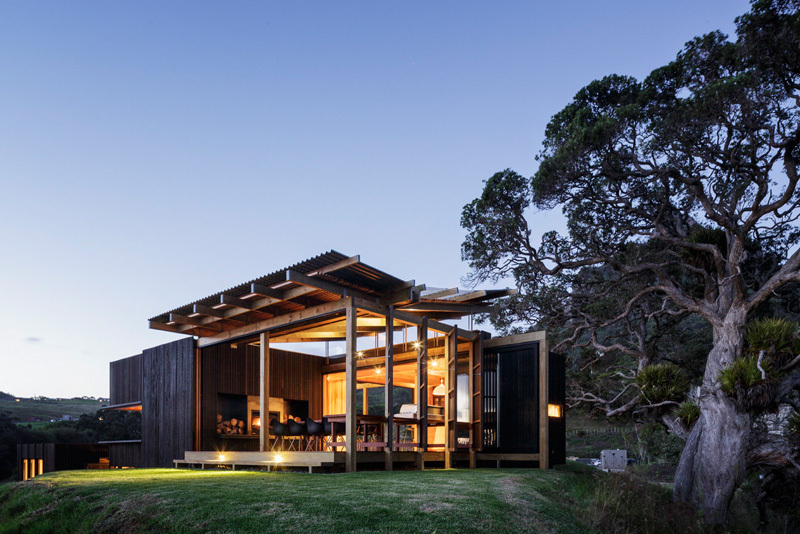 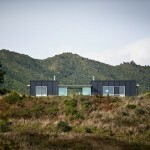 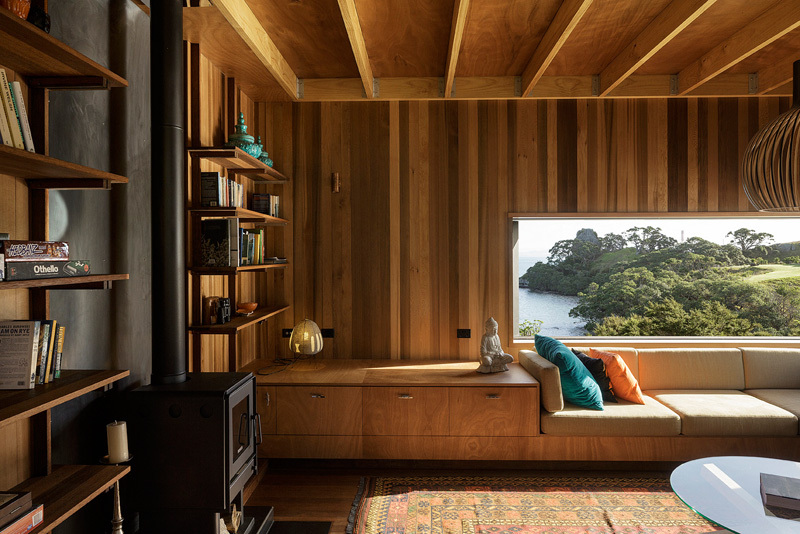 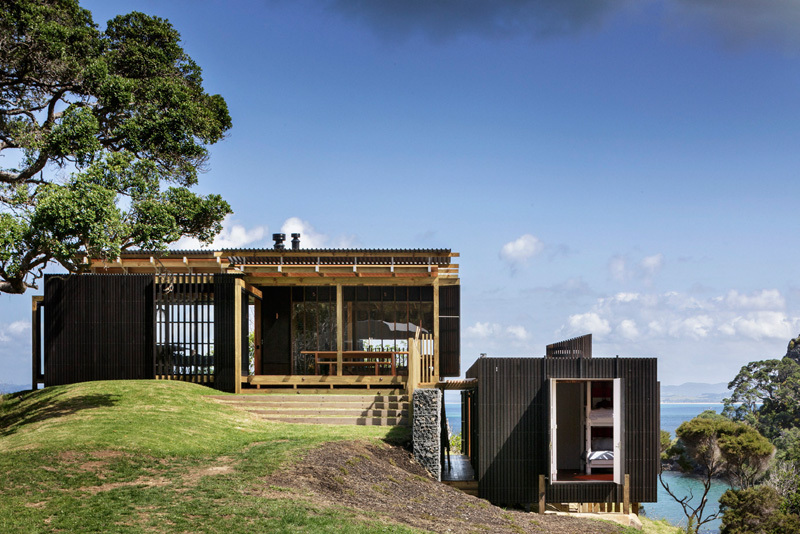 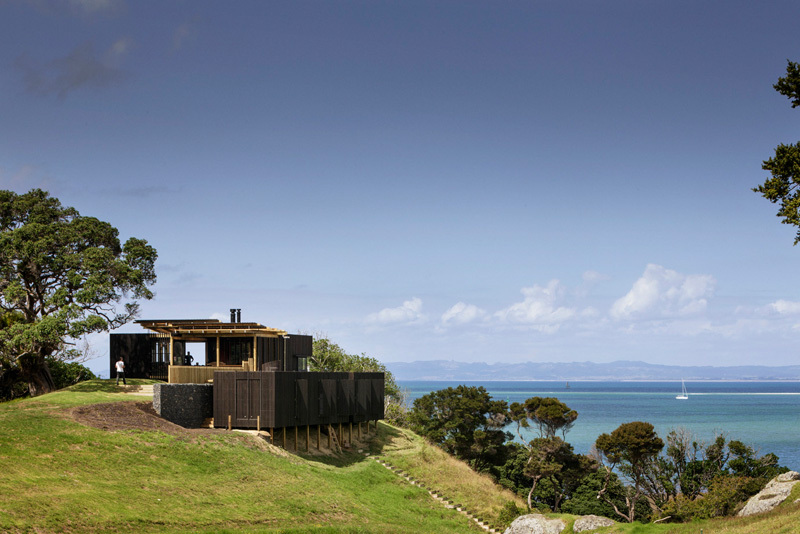 Herbst Architects have designed the Castle Rock Beach House, a holiday house that overlooks the Whangarei Heads on the North Island of New Zealand. 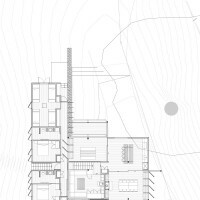 This building is a continuation of our exploration in a genre of building that is specifically designed for occupation in the summer months. 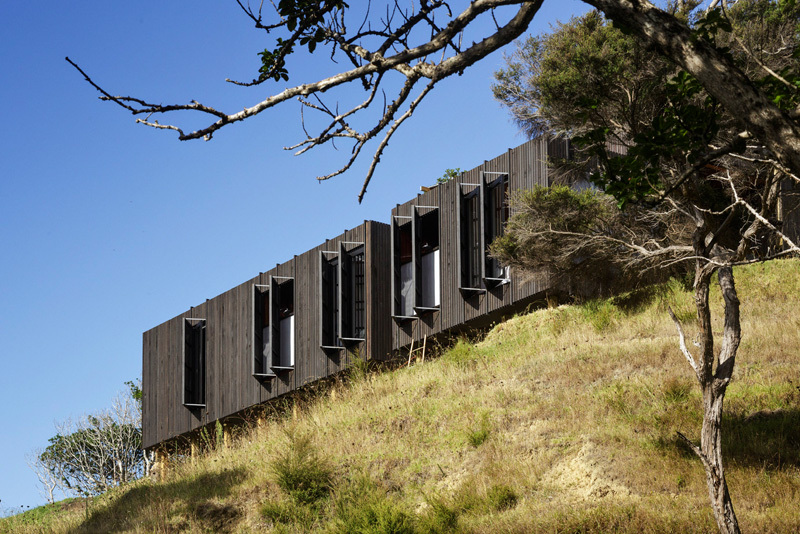 In the design process we attempt to challenge the boundaries between the built form and nature to heighten the experience of immersion in nature. 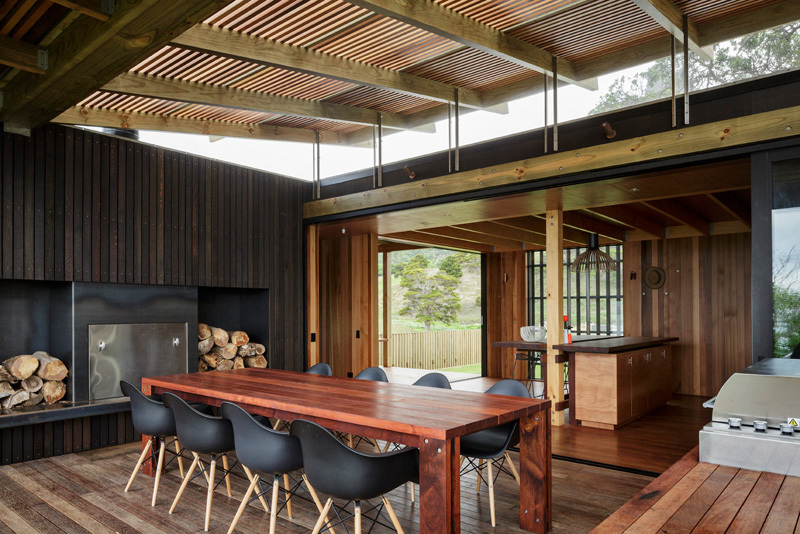 We challenge also the accepted levels of comfort and utility for the same reason. 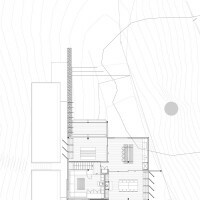 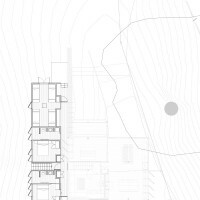 We attempt also to reference the nostalgia surrounding the “Kiwi bach” by manipulating scale, form, relationships, materiality and limitation of amenity.